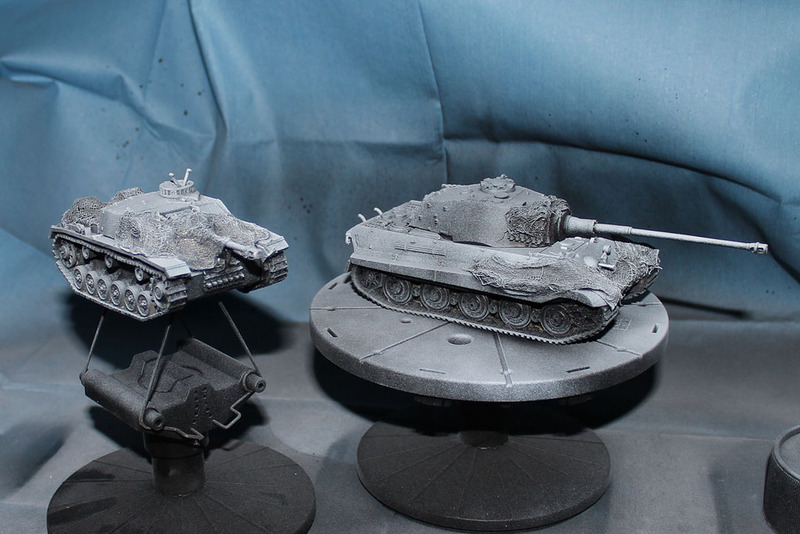 As promised, after the camo netting dried, the tanks got their primer. I was asked, how did you do the camo netting? I used some old gauze bandages and tissue paper (the center area of the tissue without the structure). You simply cut it into the right size, dip it into a mixture of pva and water, wipe off excessive amounts of the pva-water-mixture and bring it into position. As the material soaks full with the mixture and later on dries nearly rock hard, it can be used for gaming purposes without any problems. It was the scale. A sherman is about the size of a chaffee tank (around 5,5 - 6m in length). 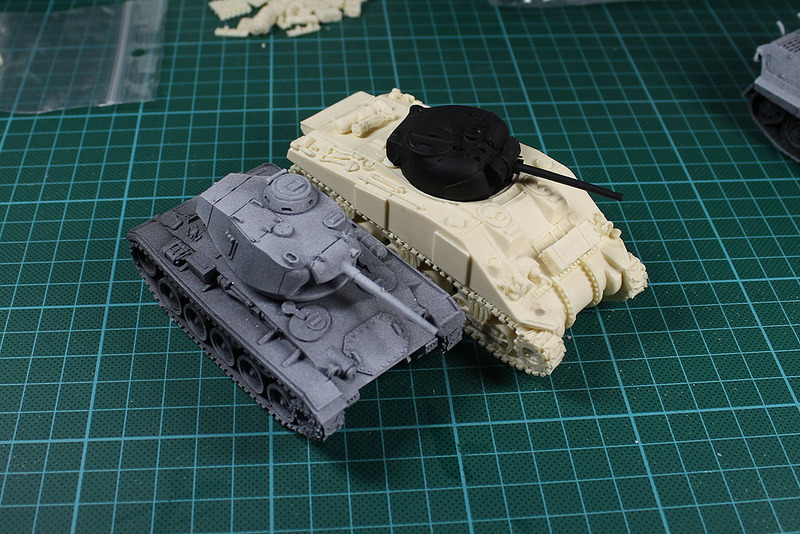 But as you can see from the pictures, the Waffenkammer tank is much longer. 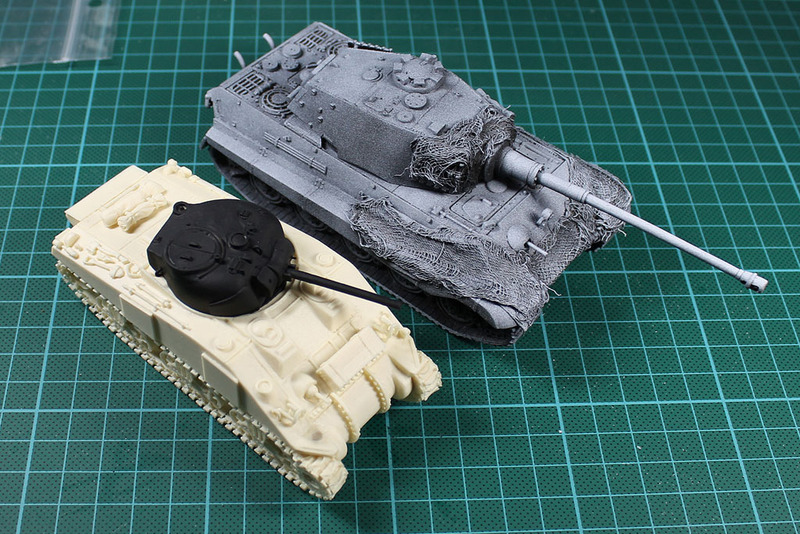 This leads to the following problem, the Kingtiger / Tiger II is over 10m long, the sherman only around 6m, but both models are only 1-1,5cm different in length. 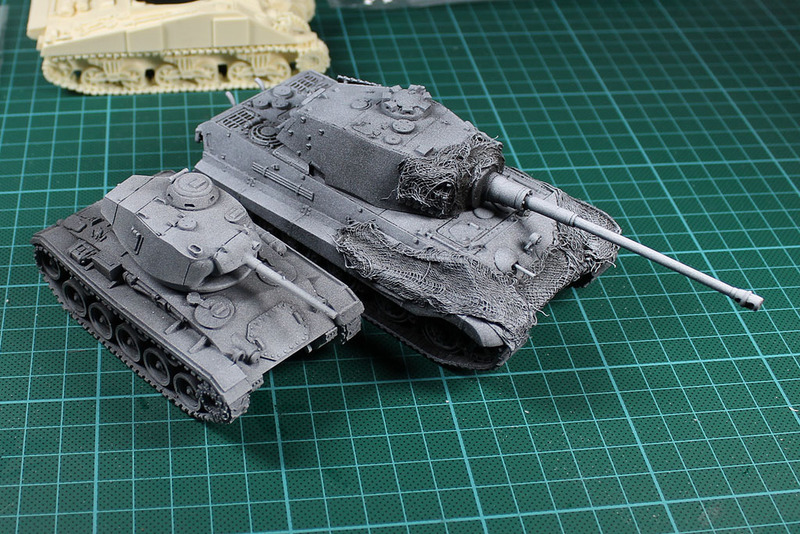 In the second picture you can see a scale comparison to the Chaffee, how it should look like. I'm still struggling with myself, if i should continue to build the shermans or i use the smaller, proper scaled Bolt Action ones instead. 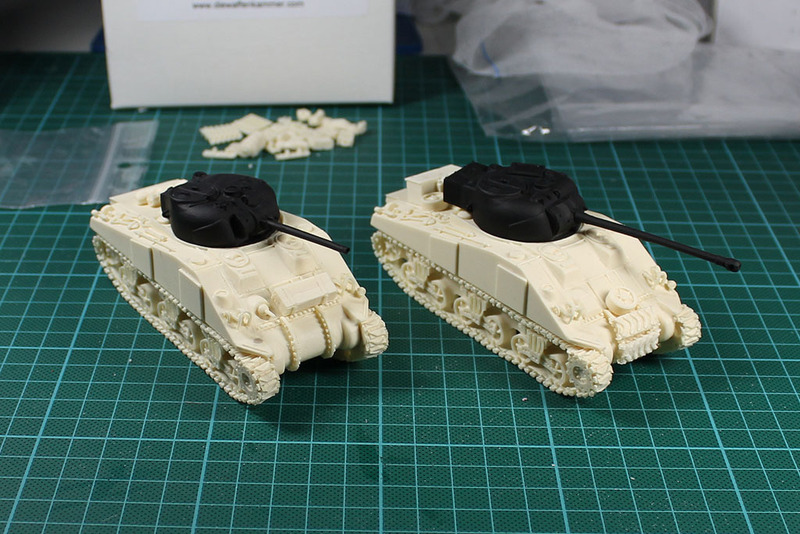 Well, I guess i'll wait for the next announcement of plastic tank kits from Bolt Action for my decision. Correction: Later, Mark 5 shermans had a longer hull, so the proportions are right! The Shermans you have are M4A4 Sherman Mk.V’s they are longer then other Shermans….